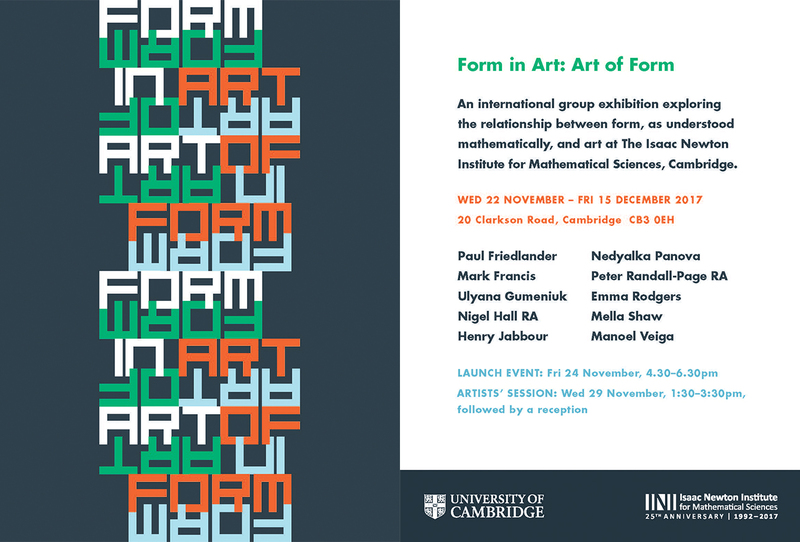 This international display of 14 separate artworks will explore the boundaries and relationship between form and mathematics and will run from Wednesday 22 November to Friday 15 December 2017. During that period visitors will have the opportunity to enjoy the artworks themselves, attend an initial launch event and meet the artists for an afternoon of talks and interactions. 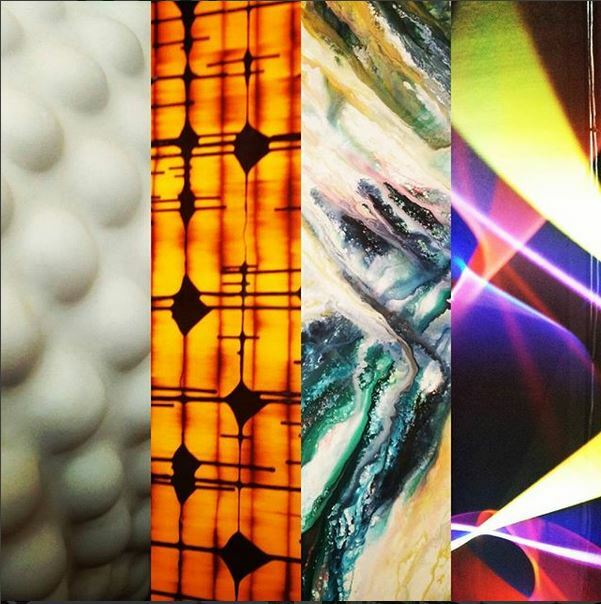 Those whose work will be on display will include Nigel Hall RA, Ulyana Gumeniuk, Peter Randall-Page RA and Mella Shaw (a full list can be find on the flyer pictured below). The exhibition's central event - an artists' session and reception - will take place on the afternoon of Wednesday 29 November. The full schedule is pictured in the gallery below and available to view online here. The exhibition and its constituent events are being hosted at INI as part of the Growth Form and Self-Organisation programme, and more specifically as part of the Form in Art, Toys and Games workshop. The latter has been organised Andrzej Herczyński (Boston College, Massachusetts) and Roberto Zenit (Universidad Nacional Autónoma de México). Their aim, from the scientific point of view, is to identify general ideas on the emergence of form in art and in the artistic process. Participation by artists will enrich and broaden the scope of the workshop, and will make it more relevant to both the art and the science communities. 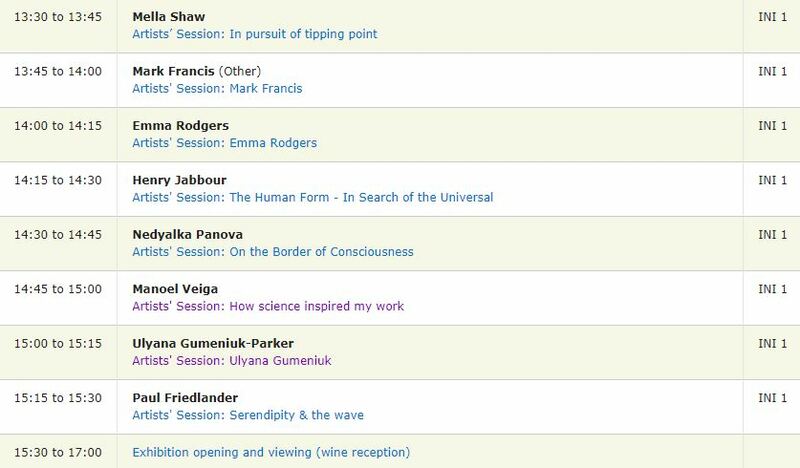 We look forward to welcoming art-lovers and mathematicians alike to INI over the coming weeks. > Click here to download a printable PDF of the poster below.